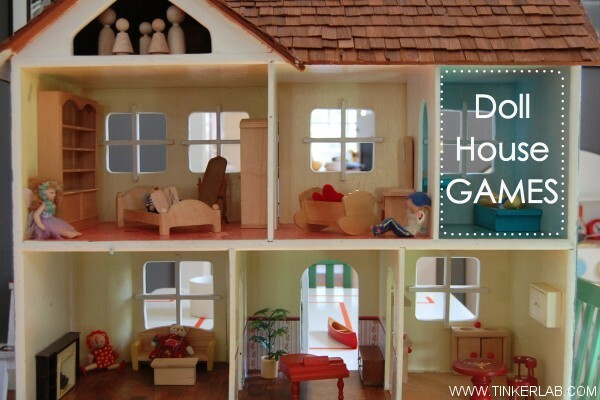 Did you grow up with a dollhouse? I grew up with a beautiful hand made dollhouse, built by my cousin’s father about twenty years before I was born. It was a family treasure that got passed around from cousin to cousin. I always imagined that my own children would play with this imagination-building house, but it was time to send it back to its original owner. So when I found this handmade house in a second hand shop that looked so much like the doll house I grew up with, and knew it could become a family heirloom. I mean really, look at those cute shingles! It needed some work (painting, wallpaper, cleaning) , but it’s also sturdy and hand-made, and I couldn’t pass it up. I found some fancy Plan Toys wooden dollhouse furniture on Ebay, picked up little wooden peg people, made a few dolls myself, and my mom shipped me a big box of my old dollhouse furniture that reeked of 1981. When my kids visit their grandparents, they play with some fantastic wooden Melissa and Doug dollhouses that are every bit as wonderful as this house, and I especially love that they fold away when my kids are done playing: Melissa & Doug Fold and Go Princess Castle , Melissa & Doug Fold and Go Wooden Castle (the Princess Castle, in grey), Melissa & Doug Fold & Go Woodland Treehouse . Get some furniture and dolls. Keep your eyes open for miniature things in unexpected places: Ebay, Craigslist, Amazon , Museum Shops, Tourist Stops. I found our canoe at a sailing shop by San Francisco’s Fisherman’s Wharf. 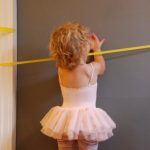 Play games based on real things that happen in your home: cleaning day, birthday party, getting ready for school, packing for a trip, eating breakfast. 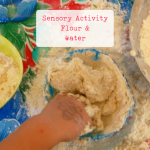 Children love to recreate their experiences, as it solidifies their learning and understanding of the world around them. To do this, each of you can take a character (or two) and role play with the dolls. Make up something fantastic and highly imaginative. For example: Fairy’s first visit to Unicorn Palace, the house becomes a zoo for animals or parking garage for cars. Move it around. Our dollhouse has a spot on the floor, and it’s rarely used. I moved it to a low table and my kids acted like it was a new toy. This advice could go for any unloved toy. Move it to a new room or spot and see if it gets new attention. Add something new. I added tape lines to the table to suggest roads and parking spaces, which gave my kids something extra to consider and puzzle over. Other ideas: Roll butcher paper underneath/around it and draw streets, gardens, etc. 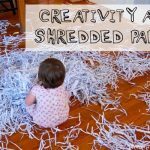 Find a new character (our doll house gets more use with Strawberry Shortcake Dolls), add a new piece of furniture, make a tunnel or slide out of a paper towel tube, add holiday lights, cut old t-shirts to make sheets or rugs. Decorate. Give your kids paper and markers and invite them to make miniature art for the walls. Decorate the house for the holidays. Paint wooden furniture or wooden dolls. Give it time. My older child was never into small-world play and didn’t take to the doll house until her younger sister took an interest. 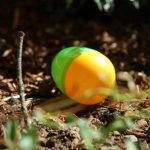 It may not be for your child, or they may not be ready for it yet. I put ours in the garage until a few months ago, and now it’s getting tons of use. Do you want to make your own dolls like the little man in the boat up there? 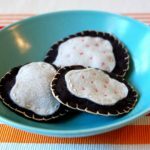 I’ll teach you how to do it with simple materials here: Felt Dollhouse Dolls. Do you like to spend time outdoors? 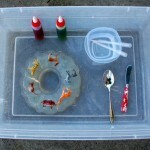 Make a fairy garden. Maybe you just have cardboard? 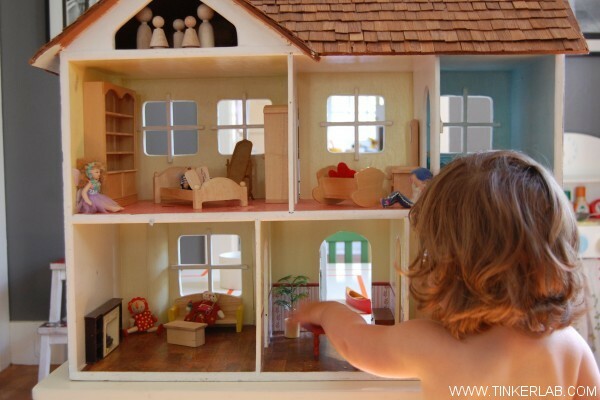 How to Make a Cardboard Doll’s House from Red Ted Art. She also has tutorials for making a baby doll and a dollhouse bed. Cardboard Shoe Box Doll House with Egg Carton Furniture, from Pink and Green Mama. Check out the life-sized dollhouse by installation artist Heather Benning. It blows me away. Note: Some of the links in this post connect to affiliates that I think you’ll find valuable. If you purchase anything from these vendors, you’re helping me keep the Tinkerlab engine go. Thanks for your support! I love this post! We just made an indoor fairy garden such fun! Your fairy garden is sooooo cute, Kara. I can see why your 3-year old loves it so. Thanks for sharing the inspiration. These are fabulous ideas and your dollhouse is incredible! I’ve actually been hoping to breathe some new life into our dollhouse, but I’ve only tried moving it to a new spot. I can’t wait to give these other ideas a try. I’m SO glad you posted this. My 2 year old son found my dollhouse in my mom’s basement this week and I was amazed by how much he loves it. Isn’t that cool? 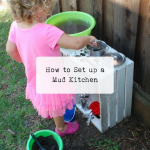 What a fun discovery for your son (and a nice surprise for you!). I loved all the ideas. my little one is not much of a dollhouse girl. I am sure getting some of these ideas to work will draw her attention. You never know, Mansi. It might be worth a try. My kids go in and out of inspiration with small world play. My youngest is really into it, and her enthusiasm has brought my older daughter into it too. Your dollhouse looks fantastic. So far my 5 year old is also not into a small world play, but from time to time she plays with hers. I think I need some new dolls for ours (self-made) to wet her interest. Thanks, Natalie! My 4-year old isn’t much a small-world play kind of kid either. I got her the dollhouse when she was 2.5, and she barely played with it. Her younger sister, however, really likes it and is bringing her older sister around. Great post! I made a dolls house for my daughter’s second birthday this year and I love the inspiration here for playing games with it. She loves it, her 5 yr old sister is totally disinterested – strange hey? I made mine from a bookcase, logic being that should it be completely ignored we can pack away the furniture and use it for other things for a while. So far it’s in daily use though. 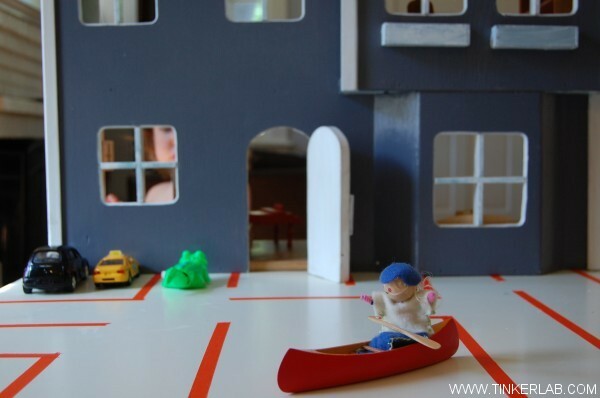 Thanks for sharing the link to your clever + gorgeous doll house. The wall paper and photos on the walls are brilliant. I just shared a link to it on my Facebook page and hope that’s okay! Oooh what a WONDERFUL post! I love love love it! We do love decorating our house for the holidays, but love all your other ideas and suggestions. I find that every time we make something new for the house, it puts life back into it and the kids play with it some more! Will check out all the other ideas and hopefully have more dolls house fun. Hi Margaret! Thanks for sharing a link to your post. A lot of my readers go through the comments looking for more ideas, and I’m sure this will be helpful! Love your ideas and the doll house looks beautiful. I’d back up the suggestion of moving the doll house from the floor to a table… it’s amazing what a difference this can make in terms of making it more attractive for kids to play with! Such a useful post! 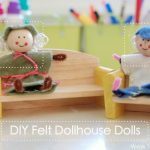 I am pinning this to re-read for when my little one starts getting bored or I need some more good ideas to use with her little dollhouse. Thank you! Hi there! I simply wish to give you a big thumbs up for your great information you have right here on this post.